Sell products that raise the bar. Become a Sweet-Orr Protective Wear Distributor/Reseller. Our garments are expertly designed and developed by our highly-skilled teams, who have been sharing artistry and devotion to superior protective workwear since 1871. Sweet-Orr was founded in Wappingers Falls, New York in 1871, with South African operations being established in 1931. We are the first clothing manufacturer to be awarded the coveted South African Bureau of Standards mark bearing certification, SANS 434 (SABS) in 1978. 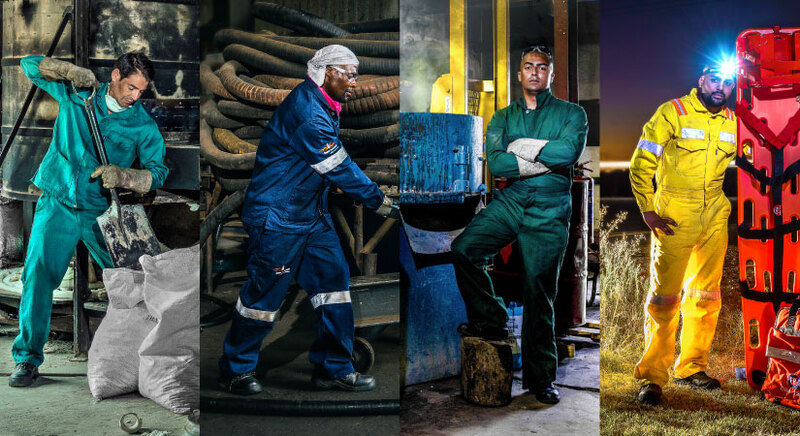 Sweet-Orr boasts one of the industry’s most extensive and diverse selection of high-quality and innovative workwear, making us a dream partner for all distributors. Our workwear ranges from utility casual and denim to essential and highly specialised protective workwear, such as acid repellent, flame retardant and flame acid garments, especially developed for low-medium and high-risk environments. This allows resellers to cater to every customer need. We understand that every workspace needs appropriate workwear to handle the prevailing environment and to ensure workforce safety. This is why we place continued emphasis on innovation, research and development, ensuring that our protective workwear always meets the highest standards, customer needs, industry requirements and regulations. Our 5500 m2 modern production facility has the capacity to produce approximately 3500 garments per day. The facility has in excess of 400 machines, which include computerised pattern marker making machines, spreading and cutting machines, modern sewing machines, and automated processors such as pocket and belt loop setting. The design and pattern making department is equipped with several workstations, which include the latest upgrades coinciding with CAD and CAM systems. Our products give you the confidence to handle every job with protective workwear craftily engineered for the task. Garments are expertly designed and created by highly skilled teams. Sweet-Orr garments are utilised in a number of industries, including; petrochemical, mining, engineering, hospitality, aviation, combat, automotive, military and medical industries. How to become a Sweet-Orr Protective Wear Distributor/Reseller? Click the button below and complete the quick and easy form. A member of our team will be in touch to talk you through the process and answer any questions you may have. Manufactured using Flame Retardant (FR) and Inherently Flame Retardant (IFR) materials, we have a broad range of garments that can take the heat in low-risk and high-risk environments.